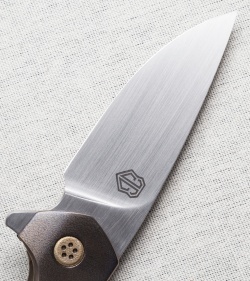 The Intercept flipper from John Gray is an exceptional knife. 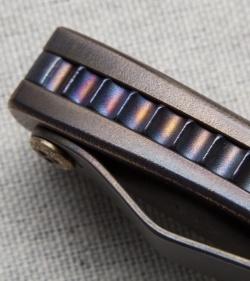 It sports thick titanium construction with an orange peel finished, multi-color anodized finish. 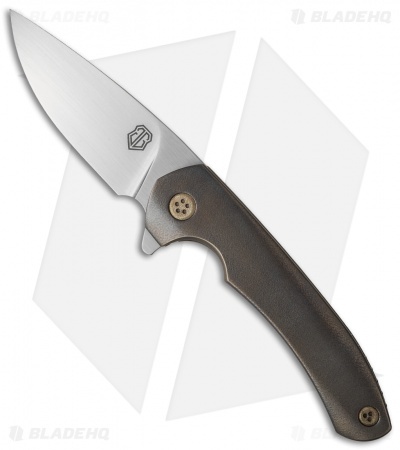 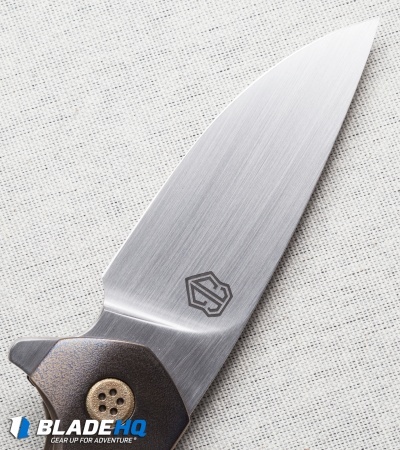 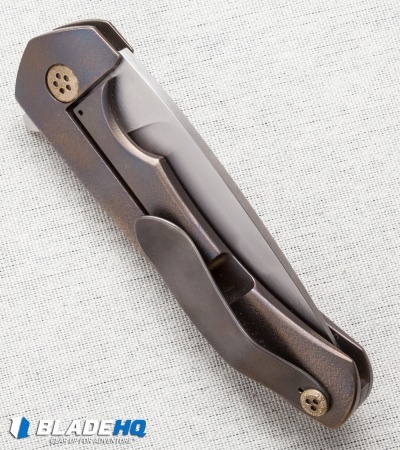 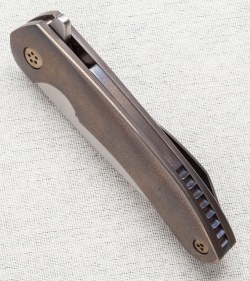 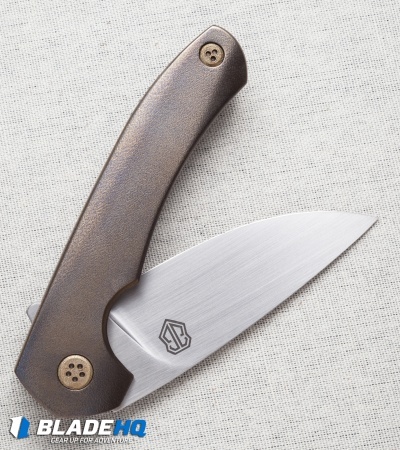 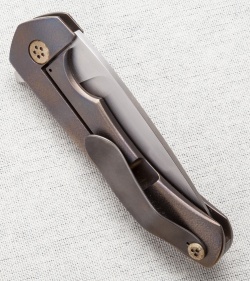 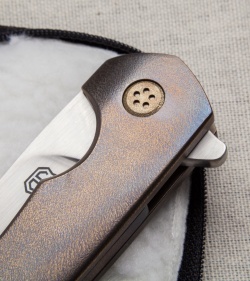 The hardware is bronze colored and the drop point blade has full flat grinds with a rubbed satin finish. 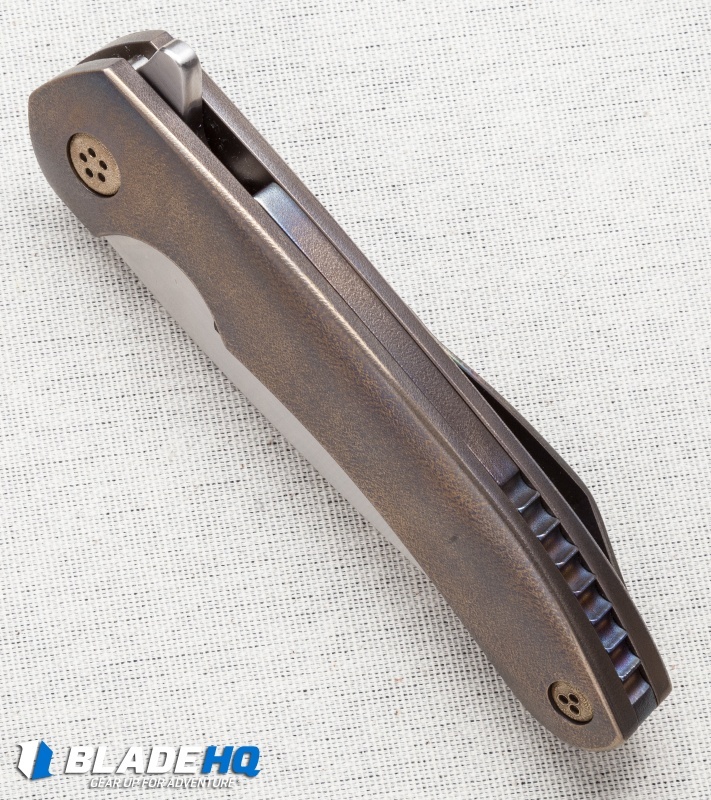 Build and fit are excellent. Pictured above is the actual knife for sale.